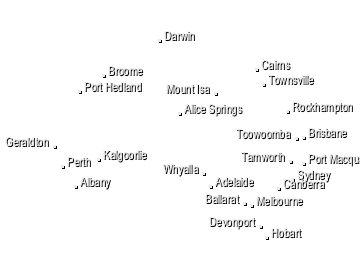 Geographical Situation; The radar is situated on the western plains of the Melbourne basin some 19km west-south-west of the Central Business District, about six kilometres from the western shores of Port Phillip bay and on a low rise about 20m above mean sea level. The radar is on a tower 24m above ground level. 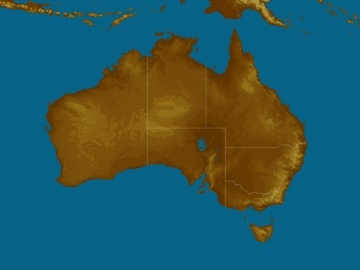 The Great Dividing Range dominates the topography from the east, through the north to the west. The most significant obstructions, starting from the east, are: Mt Dandenong 644m high, 53km to the east; Yarra ranges 1219m, 83km to ENE; Mt Macedon 1013m, 56km to the north; Pentland Hills 763m and the Brisbane ranges 421m, 45km from the NNW through to the west and the You Yangs 363m, 30km to the SW. Meteorological Aspects; The radar is well sited to provide very good coverage for the Greater Melbourne Metropolitan Area. The high ground from the east, through north and to the south west tends to obscure shallow rain falling further away. Summer thunderstorms that develop on the surrounding hills and mountains may be observed in detail. Similarly, cold fronts and associated rain and thunderstorms approaching from the northwest, through west and south are well detected. The location on the floor of a wide basin is ideal for Doppler observations which provide wind speed information. Non-meteorological aspects; In most cases the processing of the radar signal removes permanent echoes caused by obstructions such as hills, buildings and other solid objects rather than rainfall. Occasionally, some permanent echoes will not be completely removed from the display. 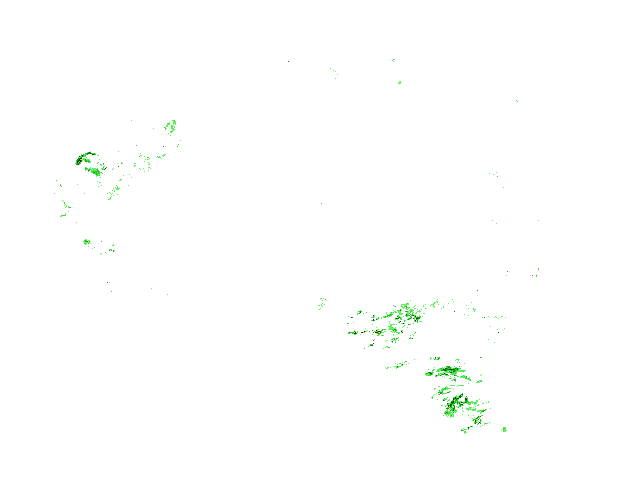 These echoes usually occur along ridges and peaks as isolated, stationary patches, being most common near the Yarra Ranges to the ENE and Mount Macedon to the north. These usually become more noticeable on cold, clear, winter nights or early winter mornings. Because the radar has an unobstructed view of Port Phillip Bay out to about 25km, sea-clutter may be seen over the bay during strong winds. These echoes may be distinguished from rain as they do not move with the wind and end abruptly at the shoreline of the bay.Doppler observations are occasionally affected by multi path reflections off Melbourne City buildings and approaching rain bands. These appear as radials of incorrect Doppler velocities in the area to the northeast of the radar. Doppler observations can also reveal the presence of flocks of birds over Port Phillip Bay, which appear as thin lines, and generally have a higher velocity than the surrounding area.